Dr. Christopher Johansen graduated from the University of Minnesota Medical School and did his internship at the Inland Empire Hospital Service Association. He did his residency at the Mayo School of Graduate Medical Education and also completed a fellowship at the Massachusetts General Hospital. 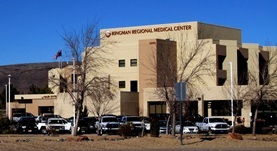 He is board certified in the field of diagnostic radiology and currently practices at the Kingman Regional Medical Center. He is specialized in the radiologic diagnosis of asbestosis, lung cancer, mesothelioma, and pleural diseases.